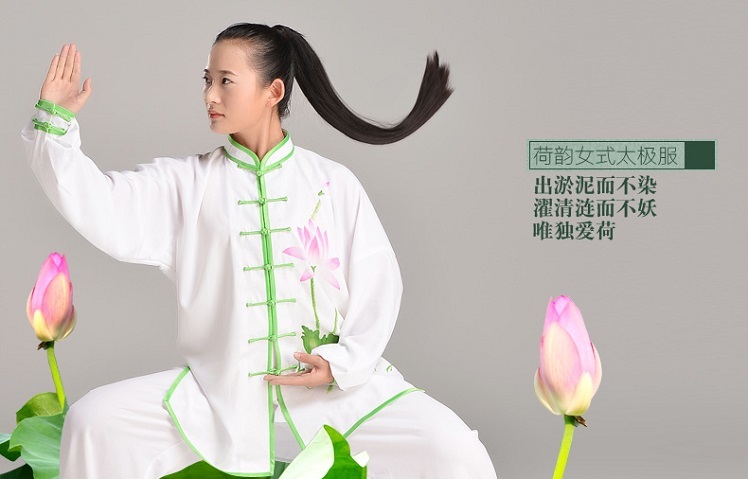 This white Tai Chi Suit with traditional lotus pattern for women is fully hand-made of a blend of cotton and rayon. 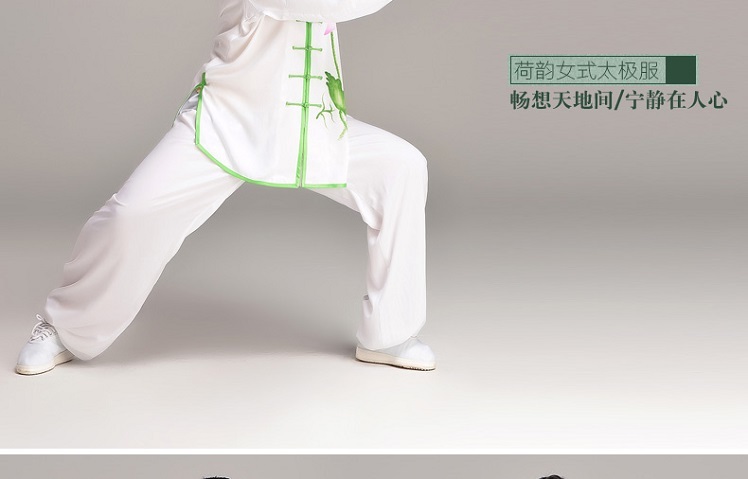 The quaint yet fresh style of very Chinese flavor perfectly accord with the Tai Chi nature. 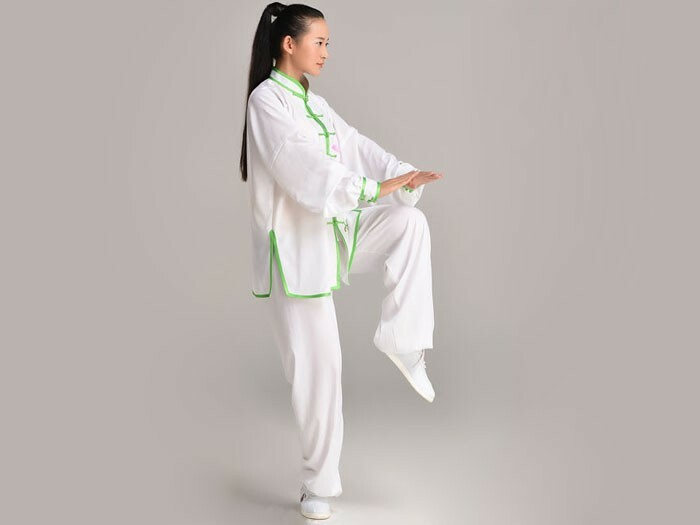 This suit of Tai Chi Clothing of pure white and refreshing green is professionally made out of the combined idea of modern and tradition, with bordered collar and cuffs, neat side vents, quaint mandarin buttons at the central line and beautifully painted lotus flower. 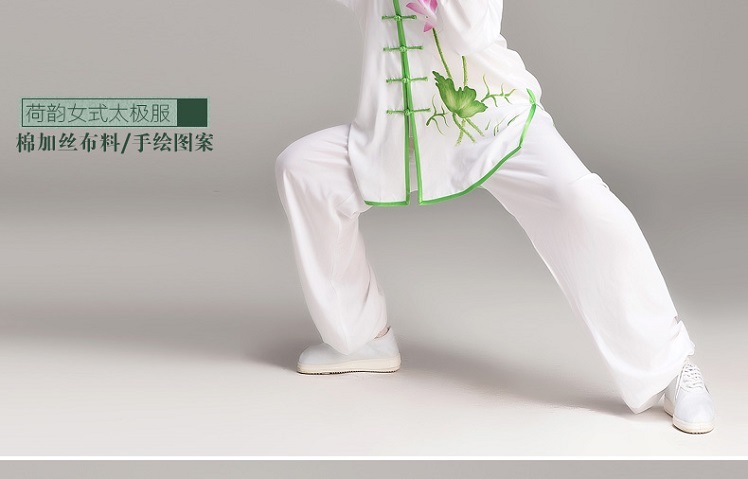 The brilliant engagement of the traditional Chinese ink painting and Tai Chi Clothing is the brightest point. 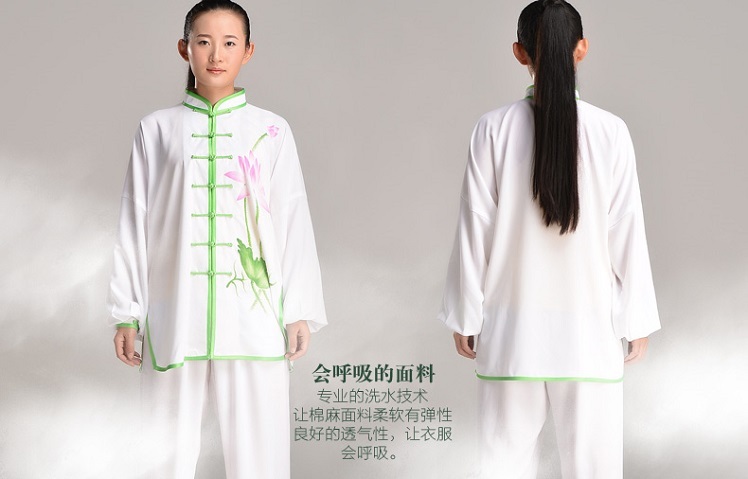 The ole-fashioned design of Chinese style well reveals the unique oriental beauty, adding to the simply elegant flavor. 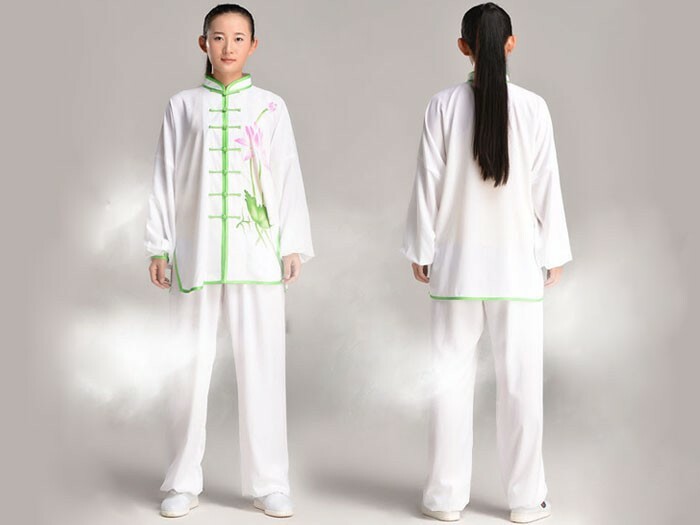 The special material is the cotton and rayon cloth of soft and smooth feel, fabulous drapes and sound breathability, allowing connection with the nature with air in and out. 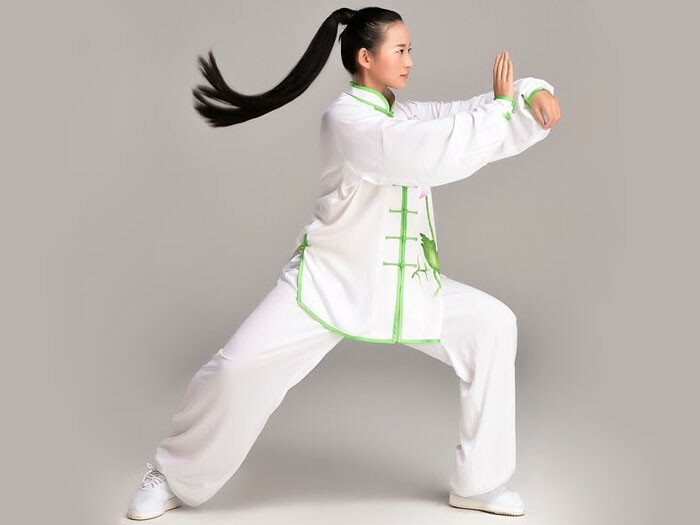 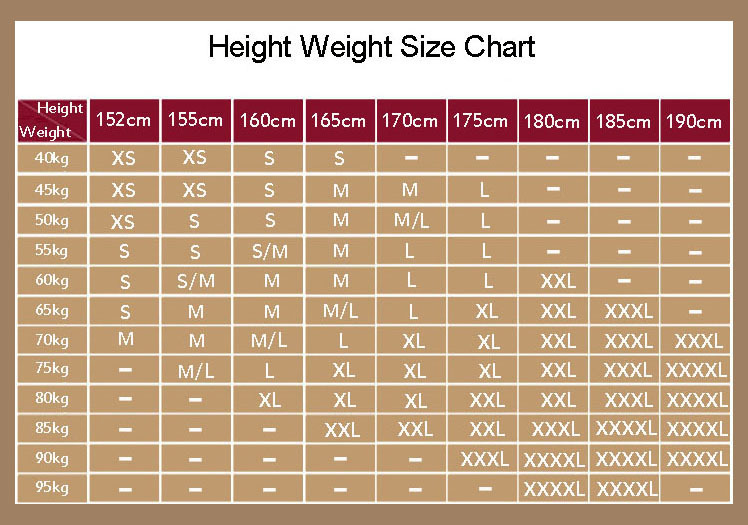 Plus, the glabrous and nice fabric with bright color, robustness and durability makes a wonderful fit for Tai Chi training and performing. 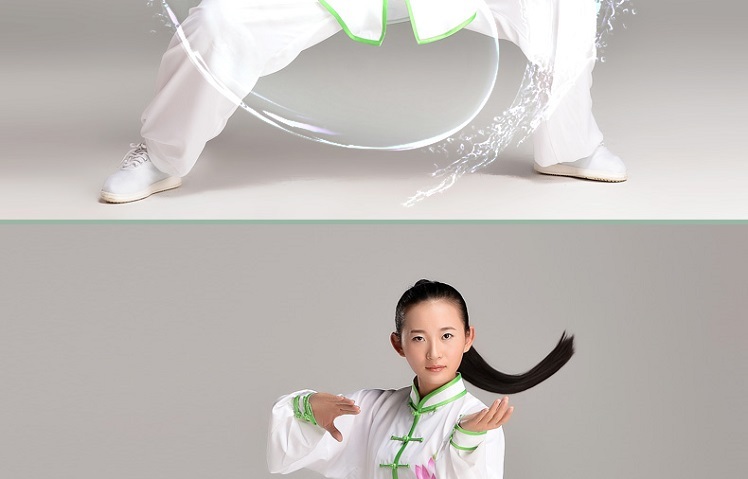 As for the pattern, the color is selected out of botanical pigments, natural and environmentally-friendly. 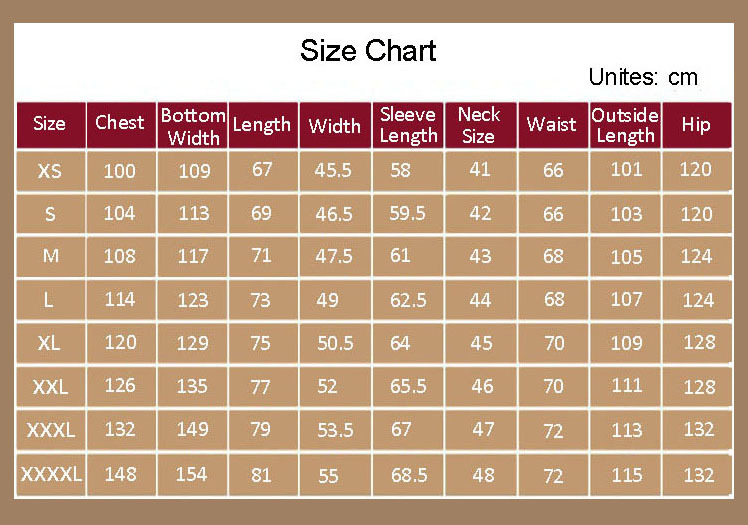 So when permeated in the natural fiber which has a strong capability of absorbing water, it’ll never fade or shrink even after being ironed or heated. 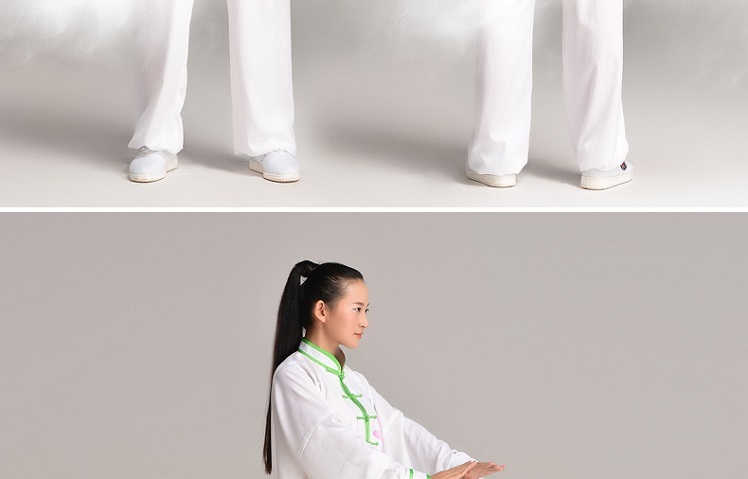 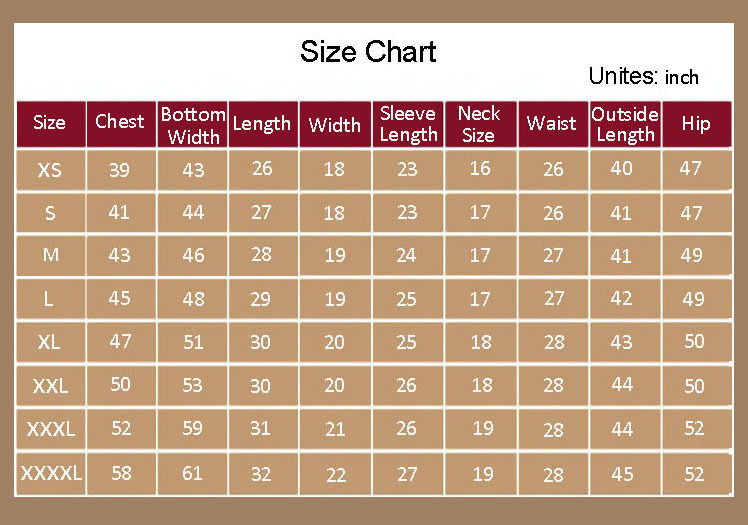 By and large, this professional Tai Chi Clothing ornamented with hand-painted pattern best mirror the spirit of Tai Chi and pure lofty lotus, which in Chinese values is the emblem of integrity, modesty and nobility, especially for the literate. 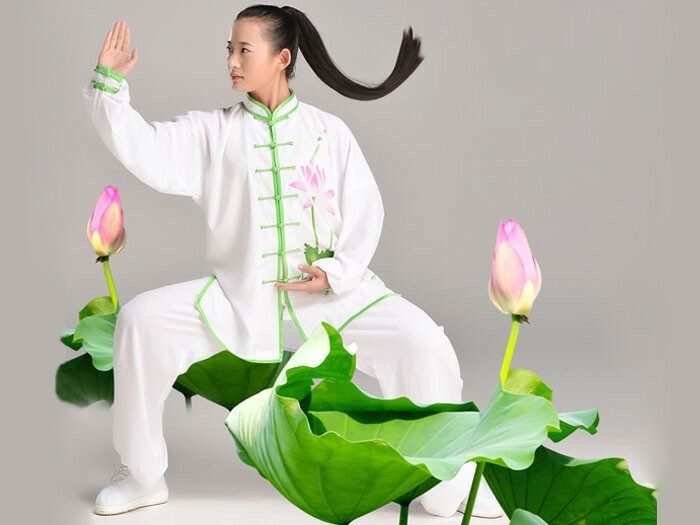 Dressed in such a female Tai Chi Suit, you’ll find yourself embraced by the light aroma of lotus flower as graceful movements flow out. 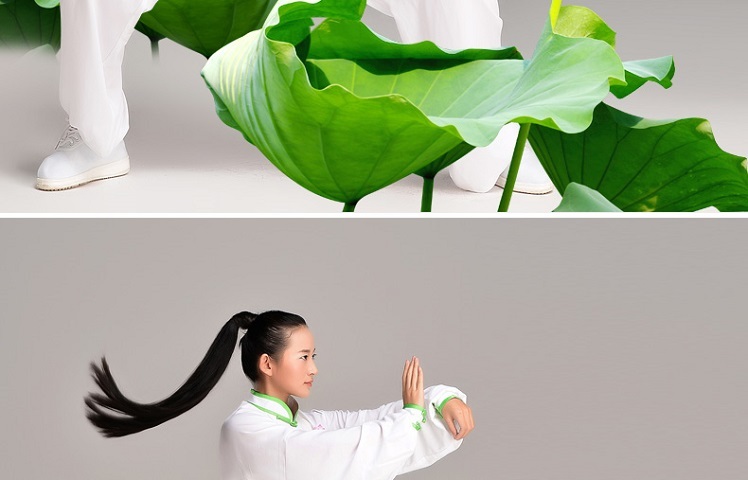 And the blend of light green and white well manifests the elegant simplicity and unique flavor, keeping a tranquil link between mind and the nature.